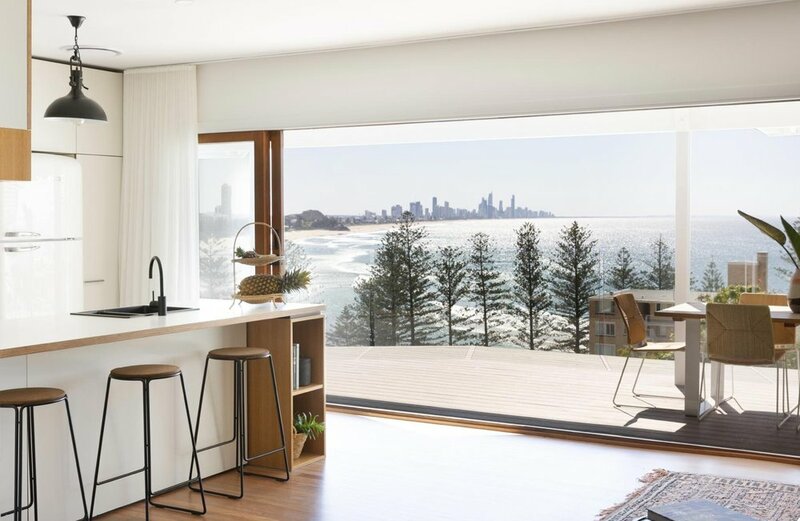 Meet interior stylist Jessi Eve and find out how Cantilever’s K3 Kitchen System compliments her distinctive vintage beach house style, at a family home on the Gold Coast. Jessi Eve is an interior stylist working on the Australian East Coast. Recognised for her distinct, relaxed style, she has developed a business offering styling, interior specifying and furniture & décor sourcing along the coast. 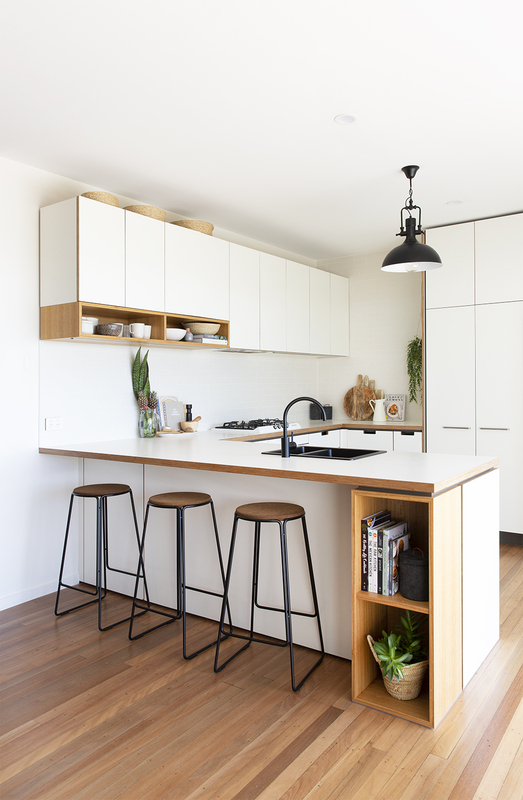 Despite being based in New South Wales, Jessi was approached to project manage the complete interior selections for the renovation of a family home on the Gold Coast. The family were seeking a vintage beach house, bohemian feel, and Jessi specified Cantilever’s K3 Kitchen System to compliment the project brief. We caught up with Jessi and talked about her business, services and recently completed Gold Coast project. Why did you choose Cantilever’s K3 Kitchen System for this project? The playful nod to mid-century modern style was a key factor in selecting this system, as it beautifully complimented other design elements of the interior, such as the original timber floors and some key furniture and decor selections. I not only love the seamless functionality of the space and all the internal elements within the system, but also aesthetically, the detail in the design and finishes is just next level. The clever detailing of the cut-out pulls, the blackbutt open boxes and shelves… where the white laminate meets the ply bridges, and the gap between the all-white and the full timber top, it’s the perfect balance of practicality and beautiful, considered design. What interior specs did you choose to compliment the finishes? For the splashback, I specified a raw chalk finish, handmade subway tile from DiLorenzo (which is surprisingly easy to maintain), matte black tapware and sink, a vintage matte black pendant light, Smeg fridge and appliances, Great Dane cork counter stools, and a cascading hanging plant to complete the look. What were the key motivators for your clients for this project? They wanted to create a family home that reflected their love of relaxed, coastal living and their appreciation for quality finishes and design. My style is generally relaxed, comfortable, warm and natural. I attract a lot of clients in coastal areas and clients that want to achieve a light and airy, yet cosy feel in their home. What are your favourite elements of this project? It’s really hard to choose as I love it all! 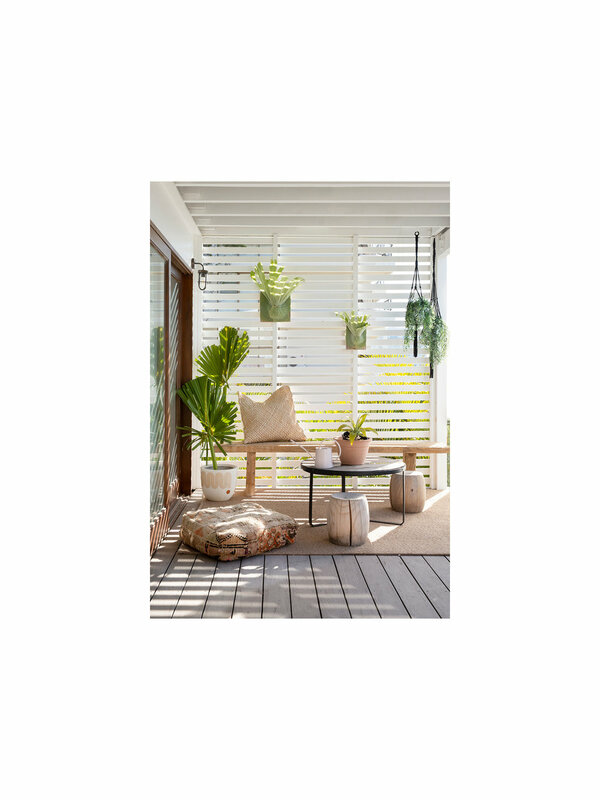 I’d say my favourites would be the beautiful rattan elements throughout, the leather and linen Jardan sofas and custom armchair, the white wall panelling on the entry and stairs, the custom timber internal barn door, the layers of vintage Moroccan rugs and cushions throughout ...and of course, that view! It all kicks off with a combination of the existing space and my client’s wish list. As soon as I see a space, I can usually visualise exactly what needs to happen to make it epic. I then team those ideas with my client’s wants and needs to create their ideal space. It’s definitely a collaborative process to ensure the end result exceeds their expectations of their dream home. What services do you provide/what type of projects do you work on? I provide a range of services to suit different needs, budgets and locations. Everything from a full interior styling service - which involves site visits, face-to-face client meetings, moodboard presentations, supplier showroom visits, order placement and final installation - through to eStyling. eStyling allows the client to submit a brief online. In return they receive everything they need to progress their project at their own pace, for a fraction of the cost. Both services give clients access to my trade-exclusive suppliers, to ensure they are getting unique pieces - often at a discounted price. Lastly, I offer a consultation-only service. This is for the DIY-savvy client who just needs a little reassurance, to allow them to go forth and conquer their interior project with confidence. They’re welcome to pick my brains on whatever they are struggling with, whatever their pain point might be. Working with Cantilever from afar, can you reflect on the product/outcome/process? It was impressively straight forward. Since it was a collaboration between my client in QLD, me in NSW and Cantilever in VIC we jumped on a Skype call to discuss the plans and ensure we were all on the same page, and then went forward from there. Incorporate a Cantilever Kitchen System into your next project. Contact us for a consultation to find out more about how we can tailor our specifier service to your company.